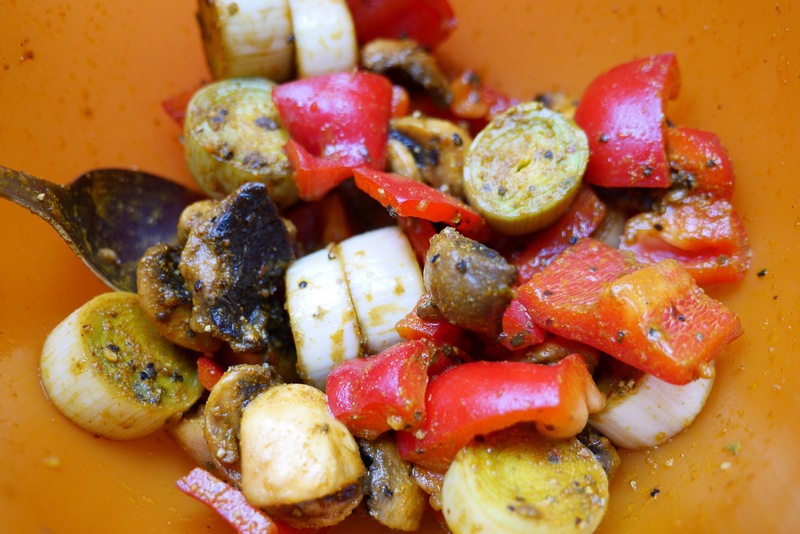 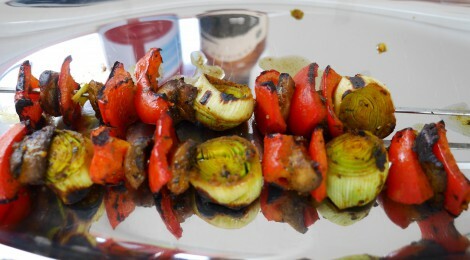 Mix the seasoning, cut the veggies and let them sit in the marinade for at least 30 minutes at room temperature. 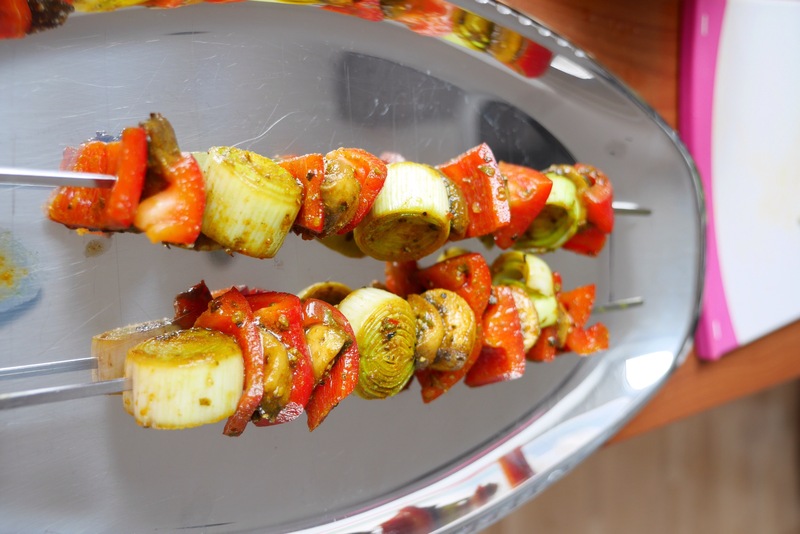 Use your hands to put them on the skewers, this will probably be a hot mess but the results are worth it. 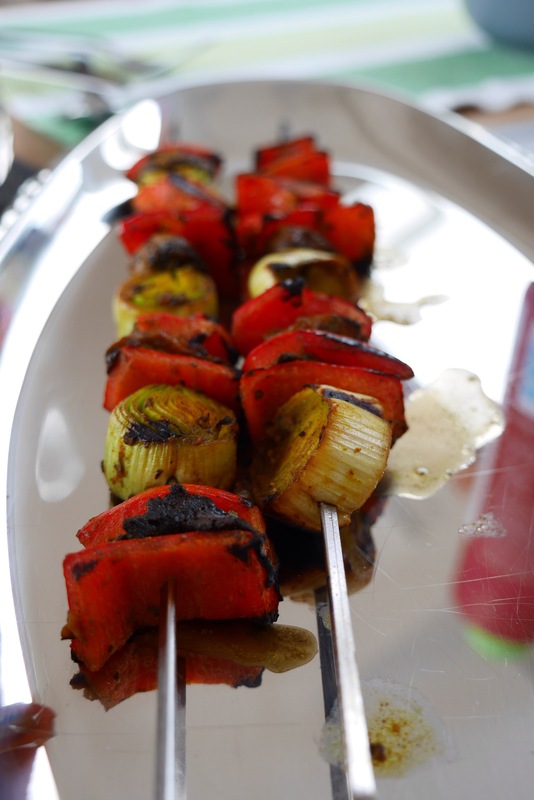 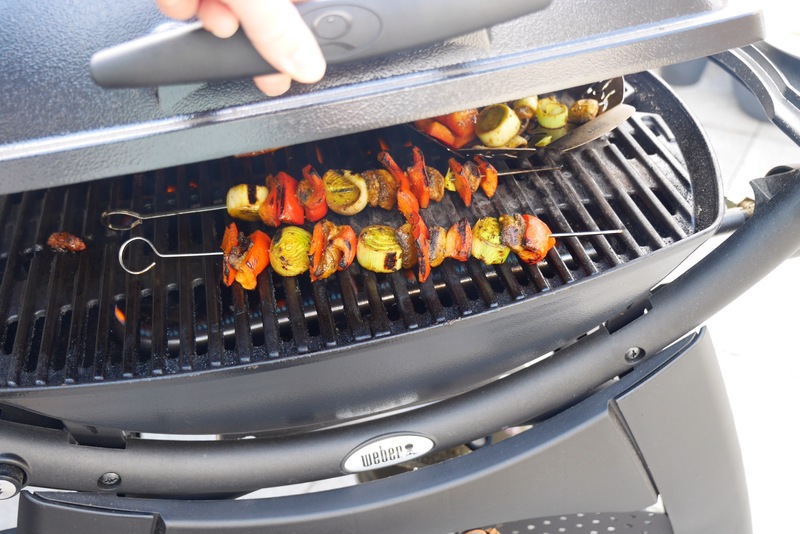 Put skewers on the bbq and enjoy as soon as they’re done!